As virtualization technology reshapes endpoint architectures, new trends like workshifting, consumerization, and cloud computing pose new management and security challenges for IT. To support more diverse user types in more places on a wider range of devices, IT needs to be able to provide a virtual desktop which remains consistent and personalized no matter where it is accessed or how it is delivered. RES Software helps organizations leverage the full value of their Citrix investment by providing complete tools for managing and securing the hybrid desktop enabled by Citrix virtual computing technologies. In this way, IT can allow users to take full advantage of the mobility and flexibility of their hybrid desktop while ensuring effective and appropriate governance, security, and compliance for every user context. 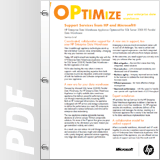 The result: optimal support for the business as it embraces next-generation models to empower its workforce. 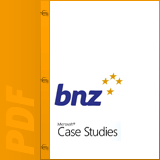 BNZ wanted to find a better way to analyze monthly data that is used to provide management information to its branches across New Zealand. The bank found a solution using the business intelligence (BI) tools supported by Microsoft SQL Server 2008 R2, including Microsoft SQL Server PowerPivot for Microsoft Excel and Microsoft SQL Server PowerPivot for Microsoft SharePoint. With the self-service BI tools, BNZ expects to simplify and accelerate the delivery of information to branches while allowing its BI department to manage the distribution and publication of information with greater efficiency. The video featured here details how they used BI tools for delivering vital branch performnce data processes. New breakthrough appliance technologies stand up fast and deliver business value immediately - changing the way your business can succeed. Today, HP and Microsoft are leading the way with the HP Enterprise Data Warehouse Appliance Optimized for SQL Server 2008 R2 Parallel Data Warehouse - the first appliance of its kind. 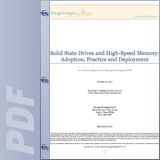 Solid state drives and high-speed memory have been instantiated into appliances, storage arrays, drives in laptops, servers and desktop PCs and as add-in PCIe adapters. 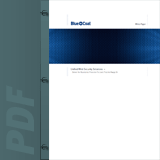 This report takes a look at the solid state drive market, discusses how SSD technology has been implemented and gives practical advice on the adoption of solid state technology. The Kaseya IT Automation Framework is designed for reducing complexity and increasing productivity for IT Professionals and Managed Service Providers. The powerful, web-based platform is secure and easy to deploy and administer. Kaseya technology provides an integrated approach to managing IT infrastructure, this paper gives a technology overview listing the key benefits it can deliver to your IT services. 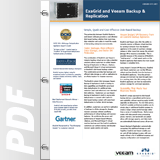 The partnership between ExaGrid Systems and Veeam Software provides a cost-effective disk-based backup solution that maximizes data reduction and scales to meet the needs of demanding enterprise environments. The combination of ExaGrid's and Veeam's industry-leading virtual server data protection solutions allows customers to utilize Veeam Backup & Replication in VMware, vSphere, and Microsoft Hyper-V virtual environments on ExaGrid's disk-based backup system. This combination provides fast backups and efficient data storage as well as replication to an offsite location for disaster recovery. Read more. Organizations are dealing with a workforce that is increasingly mobile, connected and demanding – they are using their own devices and want access to corporate data at all times, from any location. Organizations must be able to extend the boundaries of their corporate network to provide consistent Web security protection, policies and reporting for all users on any device or network. Read more. Cloud computing is one of the hottest topics in enterprise IT today. However, amidst all the hype and misinformation, it is critical that enterprise decision makers consider the Cloud as a viable strategic resource for their IT environment. 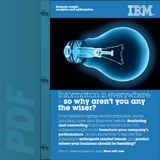 Information is everywhere – so why aren't you any the wiser? From tablets to laptops and smartphones, you're handling more data than ever before. Analysing and converting that mass of information into coherent insight could transform your company's performance. Do you know how to tap into this potential to anticipate market trends and predict where your business should be heading? Read more. 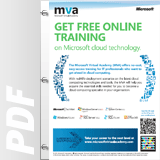 The Microsoft Virtual Academy (MVA) offers no-cost, easy access training for IT professionals who want to get ahead in cloud computing. As today's organizations contend with skyrocketing capacity requirements, they are increasingly focused on scalability. 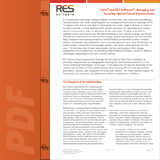 As a result, virtualization – once considered a touchy subject – has become commonplace in IT management. In fact, nearly 50 percent of IT deployments are expected to be on virtual machines in 2012, which translates to roughly 58 million virtual machine deployments worldwide. For most businesses, virtualization still means virtual operating systems running on a hypervisor, and the most popular hypervisor is still VMware. Microsoft SQL Server is the fastest growing database platform in the virtualization space and that market is growing at nearly 40 percent year over year.In fact, 47 percent of the virtual machine deployments in 2010 included database software. So why do companies choose VMware and how does this affect SQL Server and those responsible for managing virtualized SQL Server environments? Read on to find answers to these questions.